When cinnamon, sugar and butter are mixed together, the result is something many people all over the world enjoy. Cinnamon rolls are a sweet pastry commonly eaten at breakfast time, but may be consumed any time of the day. Dating back many years, cinnamon rolls have made a mark in history. 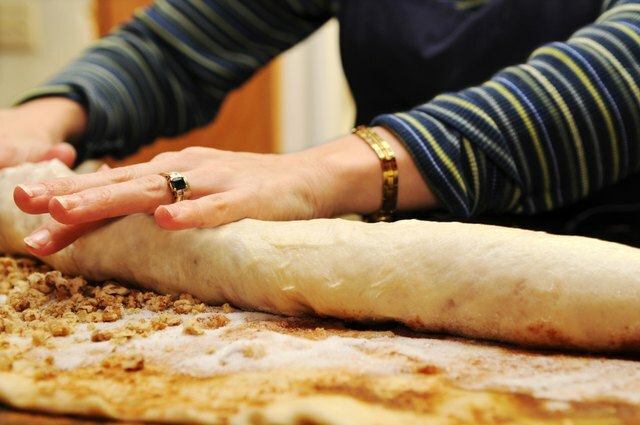 Some of the ingredients making the rolls taste irresistible are bread, cinnamon, sugar and butter. 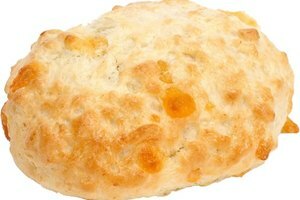 Yeast bread dates back to around 1,000 B.C. in ancient Egypt. And cinnamon dates back to 2,000 B.C. (see Resource 1), where it was imported from Egypt to China and was so highly prized that it was regarded as a gift fit for monarchs. Butter dates back to 2,000 B.C. and is written about in the Bible. Farmers' wives gave way to machines when butter began being mass produced around 1860. Sugarcane originates from what is now called New Guinea (see Resource 2). Sugarcane was first cultivated in the United States in the 18th century and the first refinery was built in New York in 1689. 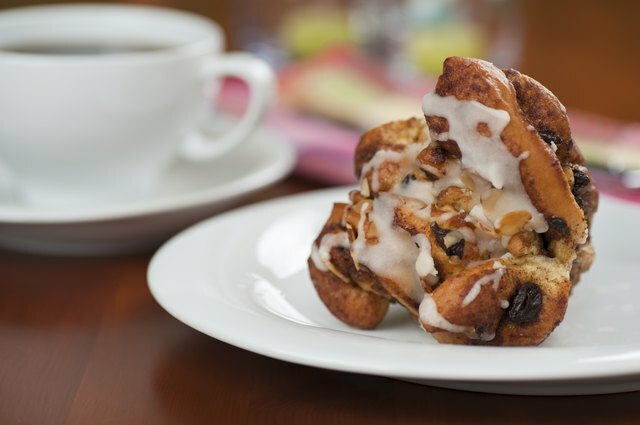 The first cinnamon roll was baked in Sweden where Oct. 4 is known as National Cinnamon Bun Day. 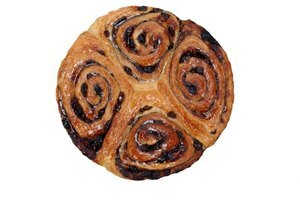 There cinnamon rolls are social institutions that should not be missed, according to communityofsweden.com. They are commonly enjoyed during FIKA, a get-together with friends. 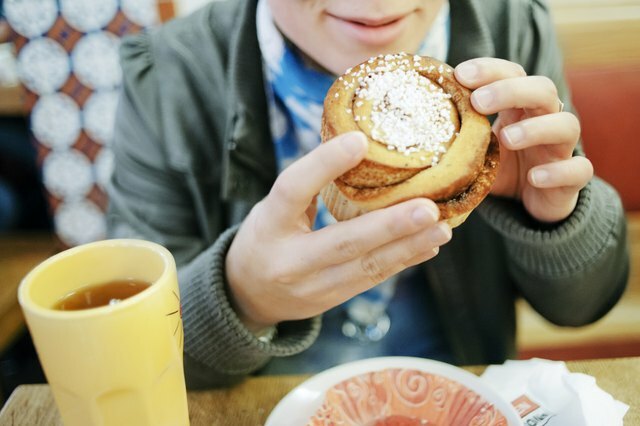 Cinnamon rolls in Sweden are not as sweet and heavy as they are in the United States. In Sweden, the dough contains a hint of cardamom, a spice in the ginger family, and they are baked in muffin wrappers to make a more delicate treat. 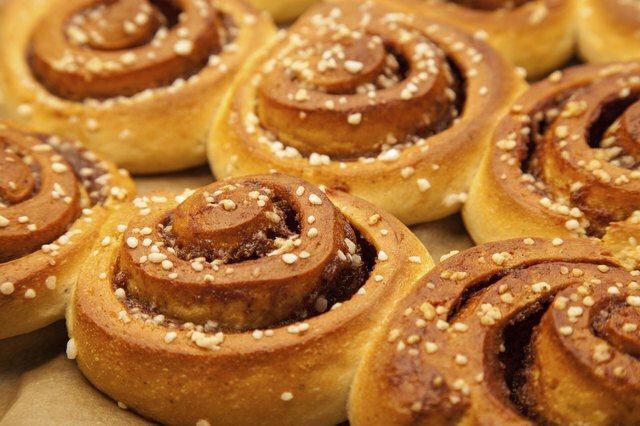 Cinnamon rolls are known in Sweden as "kanelbulle." This word literally means cinnamon bun. Other than kanelbulle, cinnamon roll and cinnamon bun, they are also known as sticky rolls and sticky buns. The name variations for cinnamon rolls may change the ingredients. Sticky buns or rolls may not necessarily contain cinnamon, which will drastically change the taste. Cinnamon Rolls in the U.S. There are a variety of cinnamon rolls found all over the world today. 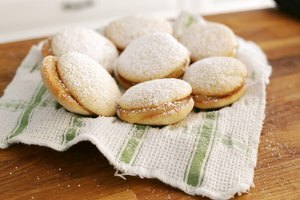 They vary from the sweet and sticky Philadelphia-style to the lighter Swedish favorite. They can also be found in dairy-free and gluten-free varieties. Whether you crave one while walking around the mall, or touring a different country, there will likely be a place close by to purchase and enjoy a cinnamon roll. Alison Ingraham has worked as a business report editor, administrative assistant, and an education analyst. She spends much of her free time with her family, running in 5k and 10k races, and reading. She also has interests in nutrition, health, and fashion. 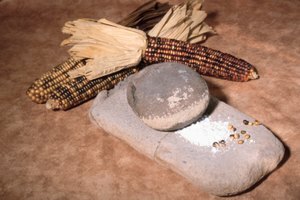 What Kind of Bread Did American Indians Eat?